This article includes both sites because they are located in the same courtyard that has been owned by the French Catholic Order of the White Fathers since 1856. In the Christian tradition, though, there is no connection between the stories of the Bethesda Pools and St. Anne’s Church. 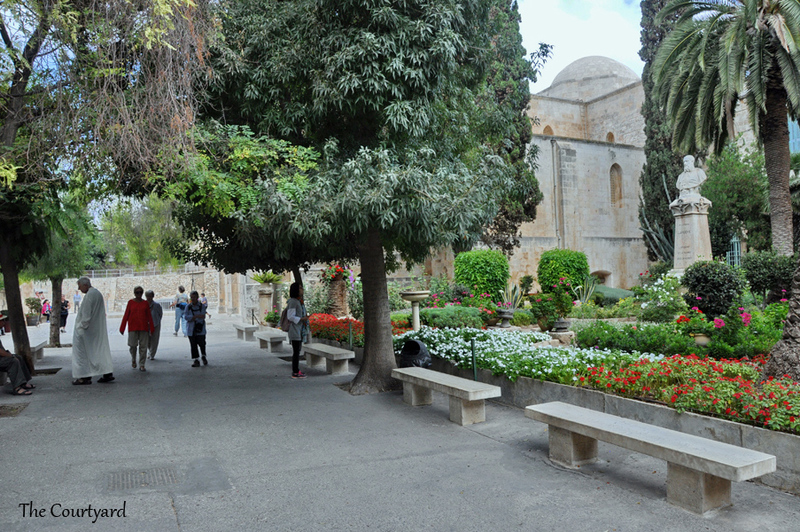 This courtyard is in the Old City of Jerusalem, next to the Lions Gate. 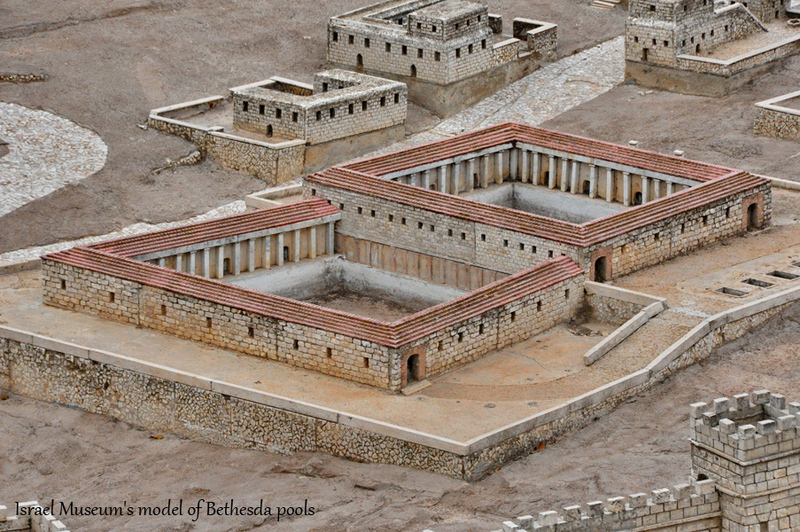 It is possible that the first pool was built at the time of the First Temple, in order to provide a water supply to the temple. During the period of the Second Temple, another pool was built next to the old one. These pools were surrounded by beautiful colonnades. The common tradition is that sheep were washed in the pools before being taken to the Temple area to be sold for sacrifice. It is also possible that they were used for ritual purification of the pilgrims. This seems to be connected with the famous miracle described in John 5 about Jesus curing the person who was sick for 38 years. The people of the Roman pagan city that came after the Jewish one in the 2nd century CE used the pools as a place of healing. Dedicating it to Asclepius, the god of medicine, a temple was built there. 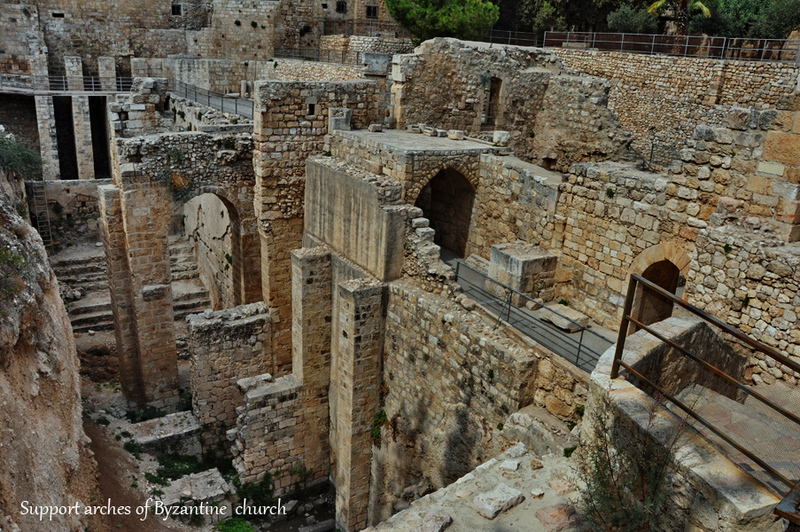 With Christianity prevailing, a large 5th century church was built on the partition between the two pools, supported by arches on both sides. This church did not survive, and at the time of the Crusaders, a 12th century chapel was built on top of the ruins. Another large church was built next to the remains of the pools. 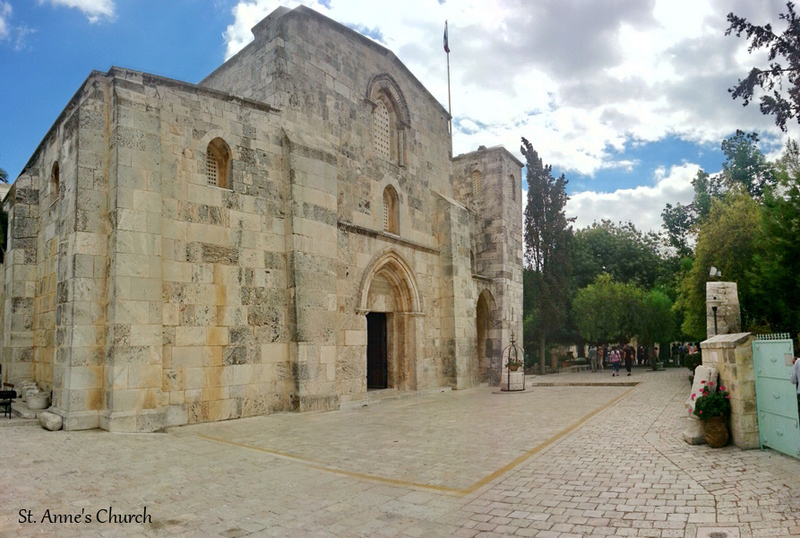 This other church built by the Crusaders was dedicated as the birthplace of the Virgin Mary. 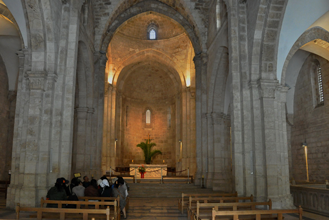 A local 2nd century tradition says that she was born to Anne and Joachim in that area, even though today it is believed that she was born in the Galilee. 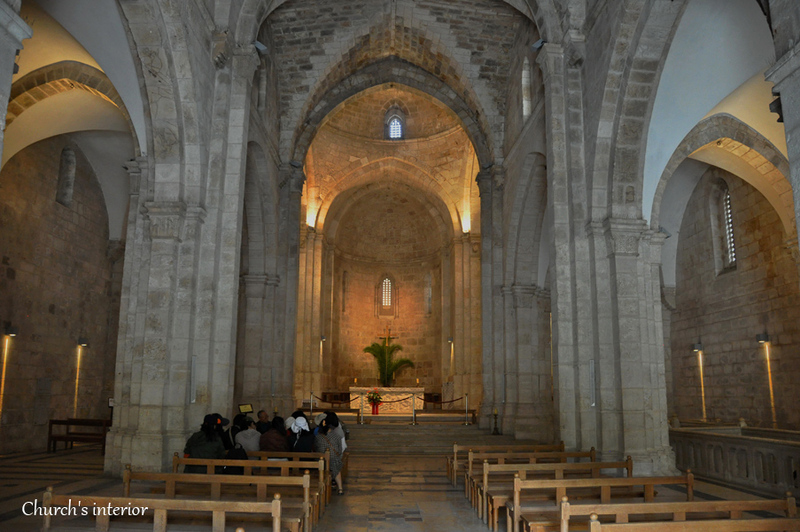 St. Anne’s Church was built in the late Romanesque style, and has amazing acoustics. 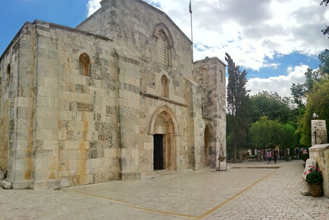 It was saved from destruction in 1187 by conqueror Saladin, when he decided to dedicate it as a Muslim school.